The Women Action Network (WAN) has called for the rectification of the Muslim Marriage and Divorce Act (MMDA) of 1951 citing that the Act renders Muslim women as second class citizens and does not guarantee them equal protection under the law. The Network has also called on authorities to ensure that the new Constitution rectifies this which will ensure Muslim women will have equal rights in the eyes of the law. “Fundamental rights are central to the constitution and if the new Constitution cannot guarantee equality and equal protection under the law for all citizens then all efforts towards constitutional reform would be futile. The reforms process must ensure a constitution that is supreme under normal circumstances. Thus the concern emerges regarding Article 16 of the 1978 Constitution, which makes all written and unwritten laws in existence before the promulgation of the constitution valid and operative despite inconsistencies with fundamental rights,” WAN said in a statement issued today. Emphasizing their statement further, WAN which comprises of activists and human rights organizations across the island, has drawn the attention of authorities to the significant impact the Article 16 has on Muslim women in relation to the Muslim Marriage and Divorce Act (MMDA) of 1951. “Article 16, by upholding the MMDA sans reforms, renders Muslim women second-class citizens by not guaranteeing them equal protection under the law. 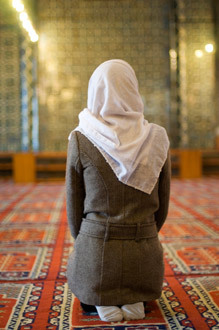 Muslim women, including victims of child marriage, have articulated very strongly to the Public Representations Committee on Constitutional Reform that the constitution must guarantee that their human and citizenship rights are not violated in the name of ‘cultural and religious rights’ and that every woman and girl in this country should enjoy equality and basic human rights regardless of religion or ethnicity. This includes either the removal of Article 16 in the new constitution, or amendments that allow Constitutional supremacy above discriminatory customary laws,” the statement said. The statement said that for decades, Muslim women and groups working closely with victims have been advocating for reform to the MMDA and the Quazi court system. Women’s groups documented numerous cases of injustices faced by Muslim women under the MMDA enabled by discriminatory provisions within the Act such as lack of minimum age of marriage and agency to consent to marriage, unequal process of divorce for men and women, polygamy without conditions, arbitrary process of compensation, to name a few. “Multiple cases of child marriage have been documented all over the island in Muslim communities, which is enabled by the MMDA and Article 16,” they said. In addition to case data, information from marriage registration, maternal units in hospitals and research on child marriage shows both child marriage and child pregnancies are prevalent, with the lack of legal protective mechanisms as a key contributing factor. “Data collected of registered Muslim marriages from four DS divisions in two Eastern districts indicates over 143 cases of underage marriage in 2014 and over 118 cases for the first few months of 2015 alone,” the statement said. “Muslim women around the country have also articulated in multiple forums that they are discriminated against by the sub-par Quazi court system, which is significantly different from the civil court system and doesn’t allow for affected persons to have legal representation. Women are often mistreated by incompetent Quazis and the jurors of the courts; not given equal treatment as their husbands; are unable to express their side without fear of being verbally abused, threatened and humiliated in courts throughout their case processes. It is notable that the Quazi court system, while being a government sanctioned system funded by tax payer money, prohibits women from holding any position of authority, either as marriage registrars, Quazis, jurors, or Board of Quazi members and thus is marked by systemic gender discrimination (MMDA Section 8,12,14,15),” the statement said. According to WAN, the opposition to the amendment or removal of Article 16 has come primarily from conservatives who want to maintain the status quo by claiming to have the best interest of the Muslim community at heart. “The arguments put forward by said groups include that the MMDA is based on Shariah law and cannot be reformed; however the Sri Lankan MMDA is a combination of multiple imports of versions of Shariah law and local customs, and also includes anti-Shariah provisions such as the recognition of kaikuli (dowry) which is forbidden in Islam. 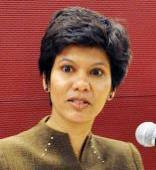 Others claim that the Muslim community is under threat from anti-pluralist elements and as such the MMDA must be protected; however protection in the constitution for minorities does not mean that discriminatory family laws are allowed to supersede the constitution merely to guarantee cultural/religious rights at the expense of fundamental rights of women,” WAN said. WAN called on the authorities therefore to ensure that the new rights-based constitution must guarantee that Muslim women have equal legal status and protection under the law. “Making the constitution truly supreme by removing or amending Article 16, will provide space for the Muslim community to reform the MMDA to be equitable and address contemporary issues of the community. There are different approaches to addressing Article 16, but leaving it unchanged is not an option,” the statement added. It should be one country and one set of Rules and regulation for its citizens and the country’s legislature should decided that. One set of law for Muslims and another set for the other citizens!!!! Pretty soon there will be “Jihad” for a separate state and “Sharia Law” will be the order of the day and no body wants that except Islam. Man invented God and the respective disciplines. They should never take control over our existence. It is there to guide us and not to be interpreted wrongly and to mislead its followers. It is simply Saudiarabianization of the whole world in the name of Islam. Mr N Nathan your comments immatured, wrong, misleading and misinterpreted. You have no right to comment about Muslims and Islam without sufficient knowledge about it. You admitting that you are fool and a person of low intellect. Know the subject you are commenting about. The scientific world today accept that there is a higher power about after studying only about DNA. Muslims never asked for a separate country or fought for it. We are peaceful citizen of this country. We are not trouble makers. We are part and parcel of this country, we are born in Sri Lanka and will die in Sri Lanka. We dont keep one foot in India or Switzerland and one foot in Sri Lanka, and ask rights. First you must know your duties to Sri Lanka and then speak about the rights. DO NOT CREATE CHAOS IN THE COUNTRY. Write something useful, not do comment just because you have to write something. God which you dont believe will put some sense in your brain. Karthigesu Nirmalan-Nathan You are absolutely right. All Sri Lankans should be subjected to Sri Lankan laws and no other. The MMDA should be repealed as it is totally unjust to women. My friend, with a young child, who was getting divorced, received no child support but left hanging for over a year after attending the Muslim court over 8 times and getting postponed as the husband failed to attend every time. Finally she did get divorced when he had found somebody else and wanted to marry. what about thesavalamai land law applicable to jaffna. doesnt that violate economic rights of other nationalities. Ambani wanted to buy Canadian Oil sands and after careful consideration he was refused. Even America has refused him but Mittal started his Steel Incorporated in the USA. Theresa May has stopped a several billion contract to French EDF because now china is funding contractor EDF. China is hurt but sale is privileged. You can’t play Godfather gannan karaya. Why are you behaving like the beast?? What the majority of citizens lack is self respect. What exactly you know about Thesawalamai and Kandyan laws? Sri Lankan nationalities can buy land in any part of the island provided he/she pays the right price. Foreign nationalities generally barred from buying land here in this island, except under special circumstances. Are you planning to buy land in Jaffna? Have you negotiated the price? How are you planning to pay for it? Go see a lawyer and ask him to deal with land transfer. Come back and tell us what has happened. There good books on Thesawalamai. Please do your homework before you start typing in this forum. How sad to read most of the above comments, it signifies the signs of the times. I have the privilege of knowing most of those who have commented albeit under pseudonyms,and am sorry to say that they profess to be EDUCATED and LITERATE men of SL. It is absolutely DISGRACEFUL that on a matter of women’s rights, irrespective of their religious leanings, that there is a baying for blood.In a forum for discussion and debate, to read such vituperative comments is apalling. No wonder the world is in this chaotic turmoil today where young innocent babes and children, defenceless women, and arrogant and foolish men are being brutally killed and slaughtered on FALSE and ignorant premises. Education and literacy do not make humans to be advanced mentally, I mean god like. Most are just animal instincts in human body. Day in day out you confirm it by your typing. Eldorado – I take off my hat for you. Drive some sense to these people. They have to go a long way in life to respect others views. The whole trouble is they do not respect other;s views and they want others to respect their views. Idiotic fools. Islam do encourage child marriage because its very important to speed up the population growth of Islam to dominate, divorce also should be done fast if the man wants new wife if no children in 01 year,. this is the basic practice world wide in Islam but things can change and Sri Lanka can have common LAW to all citizens ignoring Religion and to cater modern civilization. no problem. in the west folk stay as partners because of taxes and some muslims(bangala) because they do not like arranged marriage. governments should not interfere in the lives and liberties of the population or tell them what to eat and drink but offer advice on best practice. neither is spoon feeding beneficial. An issue that should be looked into seriously and even banned in this 21st century. The Muslim Marriage & Divorce Act (MMDA) is outdated and has to be done away with completely and every Sri Lankan citizen required to marry under the existing law of the country. My wife & I being born as Muslims by chance and NOT by choice, our eldest daughter was not married under the MMDA and our second daughter will not do so either, when the time comes. If secular thinking parents could start the ball rolling the MMDA would automatically become redundant, BUT are we secular thinking, ….That is the BIGGEST question. Islam is claimed to be a religion of peace and love.However with modern liberal minded world it will struggle to survive unless reformed.Women are suppressed and men are given a disproportionate importance through Koran itself.Sharia law is out dated and punishments like stoning chopping off hands hanging for relatively minor crimes will find no place I modern world.Demise of radical Islam is inevitable and more friendlier milder form of Islam will finds its way in future.Muslim women should spearhead this struggle and their voice against injustice should bring the balance to Islam to progress as a truly a religion of peace and love.